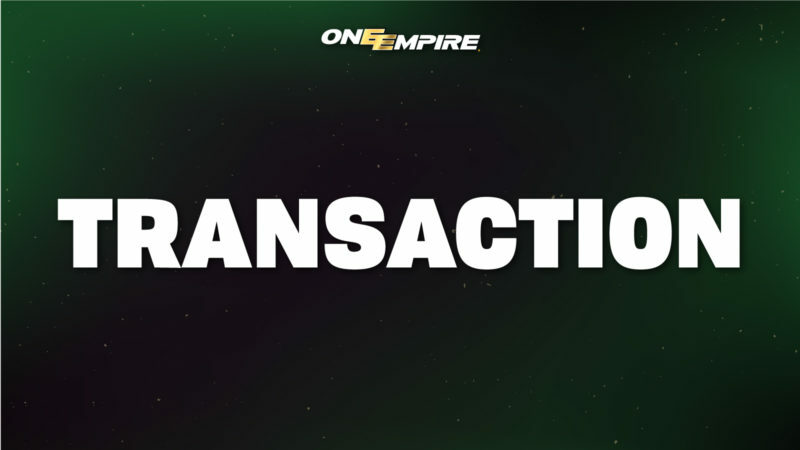 The popular former Eskimos star receiver signed a one-day contract Tuesday to retire from the CFL team he played with for eight seasons from 2007-14. Stamps, 37, ranks second on the Eskimos all-time receiving yards list (7,932), third in career catches (496) and fifth in touchdowns (49). Only Brian Kelly had more yards while only Kelly and Terry Vaughn had more catches. “My wife (Tamika) and I have been talking about it,” Stamps said. “We’ve just been busy with the family, with the kids, but I guess this is a time to do it. “I’m definitely excited to be able to retire as an Eskimo,” he continued. “I spent the majority of my career there, and that’s where I first got introduced to the CFL. Just with the history of the Edmonton Eskimos, you really buy into the system and the organization. Being a part of that is amazing. “Edmonton fans stuck with the Eskimos throughout the ups and downs, and they supported me throughout my career and with my from the time I was there as a rookie in 2007,” he said. “It was a great experience as a young football player trying to accomplish a dream. Eskimos fans will have another opportunity to proudly wear their No. 2 Stamps jerseys at Edmonton’s home opener against the Montreal Alouettes on June 14. 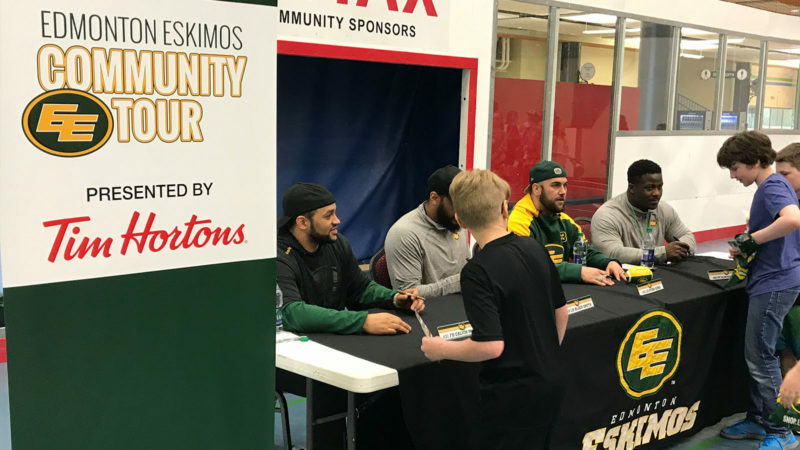 The Eskimos will honour Stamps with a halftime presentation and offer a special ticket promotion of $22.22 (plus fees and taxes) for 222 hours (until April 11 at 8 p.m.). 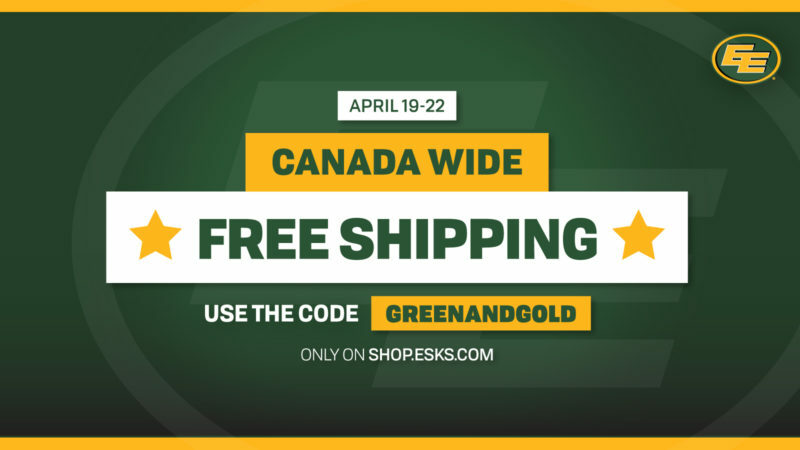 Stamps, a six-foot, 190-pound slotback, had two of the most productive games in Eskimos history in terms of passes caught – making 14 receptions for 130 yards in 2011 and 12 for 213 yards in 2010, both games against the Saskatchewan Roughriders. He enjoyed his best season of 85 catches for 1,402 yards in 2009. His single-season high for TDs came in 2013 when he scored on 11 of his 68 catches for 1,259 yards. There were five consecutive 1,000-yard seasons from 2009-13 and four consecutive 100-yard receiving games in 2011. “Obviously, getting to play with some of the CFL’s greats was one of the biggest things for me,” Stamps said. “Getting a chance to play with (quarterback) Ricky Ray and playing on the same team as Jason Tucker. You see Gizmo (former star kick-returner Henry Williams) and all those guys being around it. It’s just the tradition. “I remember when I was still in high school, I was watching TV late at night, and I had just finished one of my high school football games. Another football game came on. It wasn’t the NFL or college football. It was an Edmonton game. I think they were playing against Calgary. Stamps’ final season with the Eskimos in 2014 wasn’t up to his previous standards. He caught only 33 passes for 545 yards and two TDs in 14 games. “It was a tough year for me,” he admitted. “I had a few injuries that I was dealing with. I had an ankle injury that kind of nagged me the whole year, and I really couldn’t do too much. He was traded to the Alouettes for current Eskimos receiver Kenny Stafford. Unfortunately, the 2015 season was also a challenge for Stamps. “I played with nine different quarterbacks in Montreal,” he said. The Stamps family also suffered the loss of a baby son, Noah, shortly before his due date in the middle of the season. “I just came off a 100-yard game in Hamilton,” Stamps recalled. “Going home, that was the week we lost our kid. It took a toll on me throughout 2015. It was a tough year. Dealing with the loss of my child and having to go back and play football and trying to check on my wife throughout those nights after practice … family was more important. The Stamps now live in Katy, Texas, just outside of Houston, with their three sons – nine-year-old Cedric Fred Stamps III and a set of three-year-old twins, Preston and Mason. The oldest son, Cedric, is into football and soccer and trying to figure out how to play basketball.